But when Lynn and her husband Stephen moved on to their Cambridgeshire farm in 2012 they had some radical farming notions. Against all precedent, the Briggs planted rows of fruit trees at 21-metre gaps in their cereal fields to provide both windbreaks and alternate crops. “Our neighbours thought we were absolutely crazy,” says Stephen. His soil, however, began to stay put. They were helped in their plan by plant pathologist Martin Wolfe, who had devoted his retirement to experimenting with an innovative technique called agroforestry. The theory is fairly simple; trees are integrated into agricultural landscapes to create microclimates and shelter for animals or crops, also improving biodiversity and water and soil conservation. The trees also produce crops in their own right in the form of timber, coppicing or fruit. At first glance, the idea seems to run counter to farming common sense – many farmers regard trees in fields as a waste of space. Won’t the trees take up valuable land and risk reducing your productivity – and your income? Don’t they compete for water resources? Don’t they cast shadow, when you want as much light as possible? In fact, say Wolfe and Briggs, agroforestry farms can be more productive than a monoculture; the farm benefits from a diversity of crops which, taken together (oats plus apples, for example) can actually be more profitable. You’re harvesting at different times, capturing more resources (sun, water) and hedging against blight or pests by diversifying your crops in a way that can, says the Woodland Trust, be as much as 40% more profitable. A number of studies have backed this up: a European research project between 2001-05, for example, found that farm profitability can actually increase by 10-50% with high-value trees such as walnut. “It actually makes the farm bigger and more productive, because you’re farming three-dimensionally,” says Briggs. Wolfe has found that planting his hazel trees in this way (they’re coppiced and turned into woodchip which heats the farm and his research centre) exposes them to extra sunlight compared to growing in an orchard or forest, which means they grow, he estimates, up to 30% faster. “Agroforestry is very good at capturing the key resources – solar radiation, water,” says scientist Paul Burgess, the coordinator for a three-year EU-funded agroforestry research programme. Research in France [pdf] has shown that the tree roots don’t compete with the crops for water, for example, because their root systems go down far deeper than the crop; there is also potentially a 30% reduction in water evaporation from the soil. Anxiety about blocking valuable sunlight (seen as a positive thing in equatorial countries but less so in northern Europe) can similarly be dealt with by planting the tree alleys from north to south. The multiple environmental benefits of agroforestry beyond water conservation – biodiversity improvement, soil conservation, carbon capture and storage – are pretty well proven, believes Burgess. The results on studies into biodiversity improvement have been positive, such as a University of Missouri study that found 40-50% more pollinators in agroforestry systems. At his nearby farm Wakelyns, Wolfe says one researcher found “all the common bumblebees here” and even as he speaks a hare, now extinct in some parts of the UK, bounds away through the vegetables. In terms of soil conservation, studies have found higher levels of mycorrhizal association – the vital relationship between root systems and fungi – larger earthworm populations, and improved nutrient cycling. And agroforestry also offers important climate change benefits. A new study published by the US’s National Academy of Sciences found that natural climate solutions (NCS) such as agroforestry could offer substantial mitigation in the years up to 2030. Although agroforestry is just one of a number of NCSs, one paper has estimated that it can tuck away as much as 2.2 petagrams (a petagram is a trillion kilograms) of carbon over 50 years worldwide. Currently, the UK’s forests put away 10m kg a year. The practice is increasingly widespread around the world, particularly in sub-Saharan Africa, but is also taken very seriously in Spain, France, New Zealand and Australia, Canada and the US, while the UN is currently running research projects in dozens of countries. In the UK, however, agroforestry still faces an uphill battle for acceptance. “One of the biggest barriers here has been a fear for farmers that they will lose their basic farm payment,” explains Helen Chesshire, a senior adviser at the Woodland Trust, which has been championing agroforestry in the UK. England is one of very few countries not to take up an option which allows agroforestry under the EU’s common agricultural policy (Scotland, Wales and Northern Ireland all took the option). But interest here is growing. “We’re starting from a low base, admittedly,” says Chesshire, “but there is a definite appetite.” An agroforestry conference organised by the Woodland Trust, Royal Forestry Society and Soil Association earlier this year was heavily oversubscribed, and Briggs met the environment secretary, Michael Gove and then spent an hour talking about agroforestry with the environment department’s George Eustice: “I would say there is an open door there,” he reports. Gove’s department is currently undertaking the twin herculean tasks of drawing up a new agricultural bill and an environmental strategy, as the government attempts to simultaneously meet its Paris climate accord commitments and work out what a post-EU agricultural policy could look like. 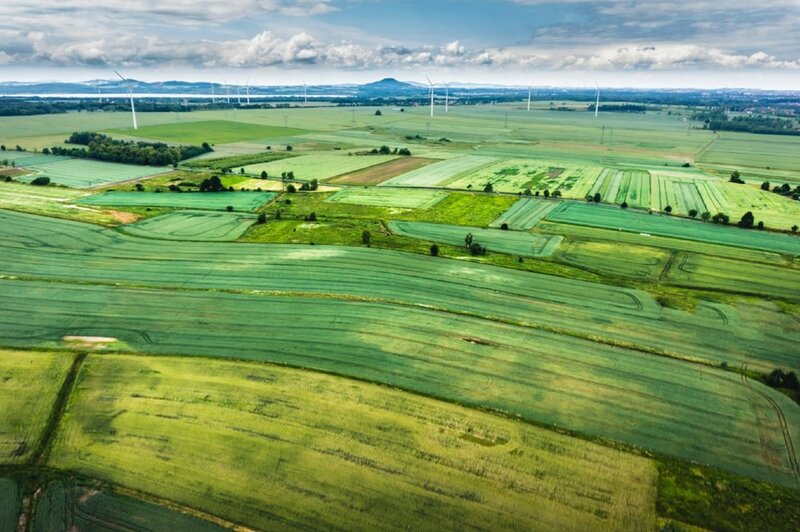 Campaigners are pushing hard for a move away from the current subsidy system which pays out on the basis of land area, and towards a system where public money is used to deliver public goods such as rural employment, healthy soils, high biodiversity, and carbon sequestration. “In that policy context, agroforestry would be an invaluable tool,” says Chesshire. How policy will unfold is yet to become clear, but environmental campaigners know that, as Chesshire puts it, “this is a once in a lifetime opportunity”.